Note: 2.5in/3.5in SATA HDD not included.Canada and Japan. If you need download the software or more detailed information,you can download by the link on the user manual. 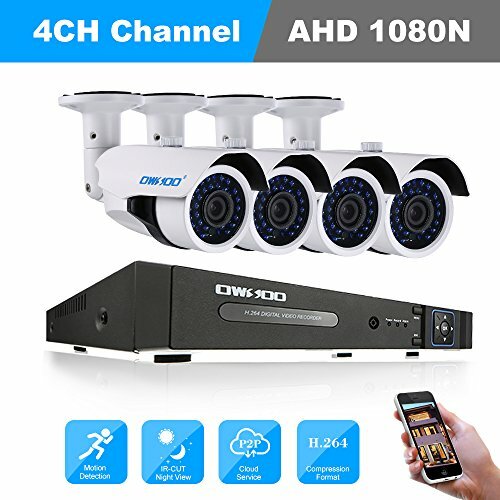 *Consist of 4CH Channel Full 1080N DVR +4*1800TVL AHD Indoor Dome CCTV Camera + 4*60ft Surveillance Cable for CCTV security system. *Hybird 5-in-1 NVR CVI TVI HVR AHDfunction, support both AHD camera and analog camera input. *HD 960P Waterproof IP Caemras and P2P cloud service support DVR for remote view anywhere anytime.